Since 1995 we have been developing ShopFactory as the ideal Do-It-Yourself eCommerce solution for small and medium businesses who want to sell their products and services online. Over two decades we have continuously improved the software: carefully expanding its list of features and functions based on the feedback from our most successful sellers. Always with the aim to make the users of ShopFactory even more successful. Build your website and online store with the same solution. Or create a store which you can link to your existing website. ShopFactory's visual editor lets you see at all times what you do. 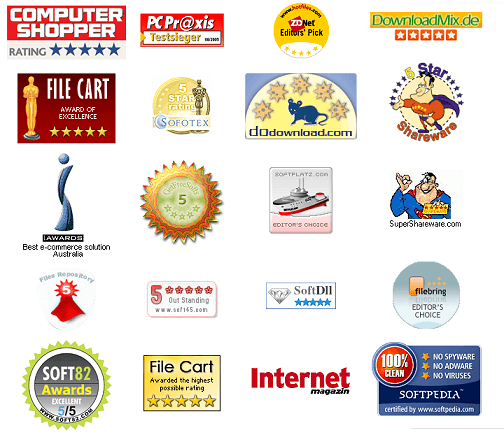 Manage your website, pages, categories, products and shopping cart with point and click ease. ShopFactory updates your navigation and even links in your content automatically when you add, hide or remove pages and products. A great time saver and just one of the many functions designed to make your life easier. Offer a great shopping experience to you customers to boost your sales. From adding a product to the shopping cart to checking out, paying and even tracking the delivery of an order. It's all covered. ShopFactory comes hundreds of professional themes designed to ensure your website looks great on all devices. Customizing colors and images is a breeze. Now you can make every theme your own. And if you are familiar with HTML and CSS coding, you can do even more. Automatically import and resize your images. Convert images to products. Create thumbnails and slide shows. Rotate pictures. Add videos to promote your products. It's easy with ShopFactory. Speed up store building and maintenance by importing and updating your products from an existing database with ImportWizard. Promote them with Marketeer to the world's leading sales portals . Publish your website to our high availability servers or to your own website host. It's quick and easy with turbo publishing. Your store is ready to take orders as soon as it's published. Boost your sales with websites and stores optimized for desktop computers, mobile phones, tablets, phablets and more. You'll need it for top rankings in Google and to please up to 50% of your visitors. Get access to a wealth of built-in functions to help you to the top of search engine results (SEO). Offer price and quantity discounts. Give away free products. Sell gift vouchers. Send buyers discount coupons to make them come back. Present special prices to members and resellers. It's all there. Let buyers join as members of your store and turn them into loyal customers by offering them special deals, membership discounts, loyalty points or free shipping. Import orders into accounting systems such as QuickBooks, Reckon, Sage, Lexware and others. Or export them as XML or CSV formats into virtually any accounting system on the market. Advertising can be an expensive business. With Advertising tracking you can find out if it an advertising action generates enough income to make it worth your while. Set up a dedicated list of resellers, who buy products from you at reduced prices to resell them. Create different product groups with different discount levels depending on your profit margins. Affiliates promote your products in return for a sales commission. Set up your own affiliate partner scheme with up to 5 payment levels (MLM) to get help promoting your store. Manage your orders online from anywhere in the world. Check statuses, statistics and manage your deliveries. Or receive orders by email and manage them on your computer with SalesManager. ShopFactory is ideal for businesses selling up to 10,000 products. While store owners use it to successfully maintain websites with more than 30,000 products, ShopFactory has not really been designed with such numbers in mind. Of course you can receive as many orders as you will! ShopFactory helps you grow with many functions and features normally only included in much more expensive solutions. Now you won't need a new solution when your success kicks in. Create stores in 30+ languages - or set up a single store with multiple languages and currencies. Deal with taxes and shipping systems world wide. Selling around the world is easier with ShopFactory. We have partnered with many services worldwide to make ShopFactory even more powerful. This includes 50+ payment services including PayPal and WorldPay, big shipping providers such as UPS, FedEx, DHL, TNT and others as well as accounting packages including QuickBooks and Myob. With its many features and ease of use ShopFactory has been winning best shopping cart software awards around the world since 1995, being favored by reviewers and store owners world wide. Buy ShopFactory without a risk. In the unlikely case that ShopFactory does not meet your needs we'll refund your money in the first 30 days. ShopFactory contains many more features . Discover a new way to create and maintain your online store. Click here for a list of individual features.